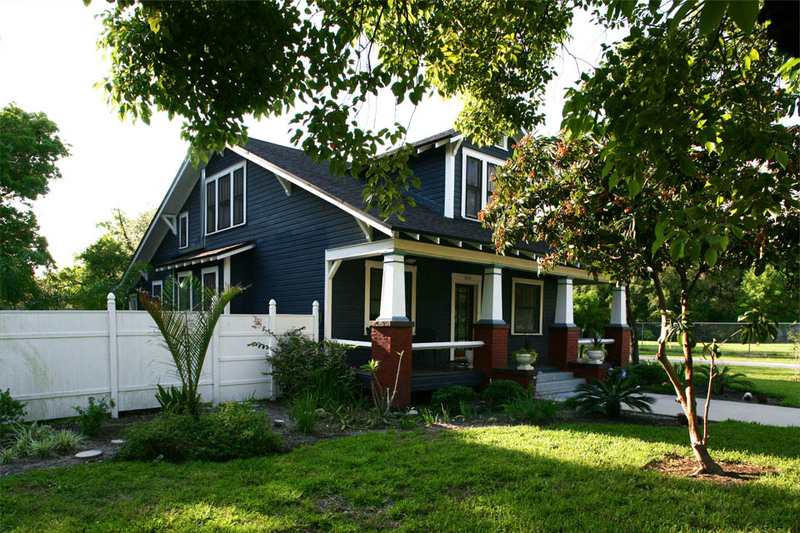 This beautifully restored home, built in 1924, is just blocks away from Tampa Bay’s oldest house. It was originally owned by Annie and Johnny Hesoun who are sitting on the bench on the left side of the photo. The Hesoun’s were Czechoslovakian immigrants, celery farmers, and owners of the Cedar Tree Meat Market, located just a block away on 7th Avenue. Later, their daughter Johnnie Hesoun and her husband Ambrose ran the store, which was later sold to Deedon Sheet Metal. The family portrait even captures a pedestrian in the distance; unheard of in today’s Tampa, unless your car just broke down. Spledid! Such an interesting photo, and history. Except for the paint job, the house is virtually unchanged, architecturally. Rockers on the lawn! I grew up 3 house down from this house! So cool! 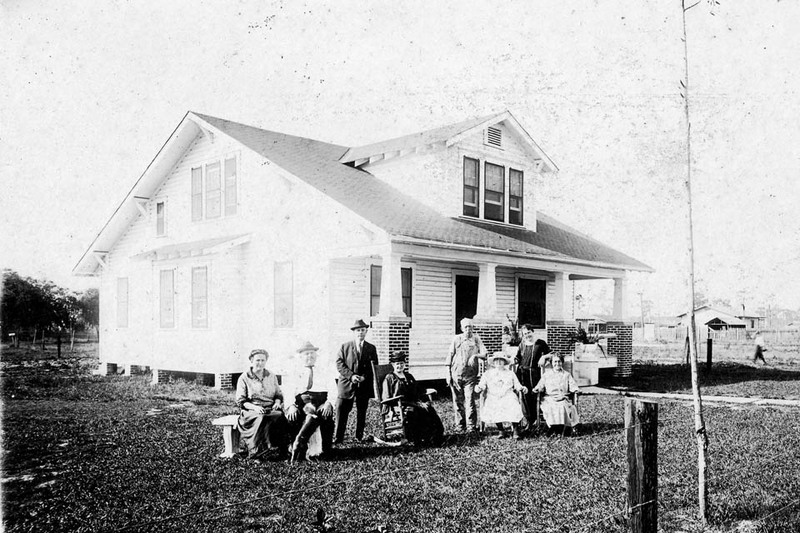 Eric – By any chance do you have any historic photos of your old home?